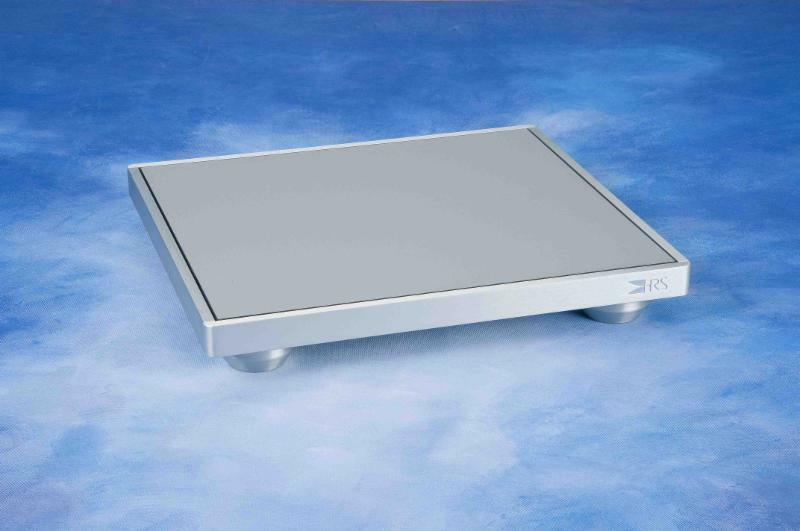 Harmonic Resolution Systems added the HRS S3 Isolation Base to their product line. Greater performance at the same price! The new S3 Isolation Base is a highly innovative design that eliminates noise, revealing a new level of musical performance. It is manufactured from s even different materials including a proprietary resonance control stage with billet machined aircraft aluminum trim and a n ew plinth construction that increased the plinth mass by 7 pounds, an additional 16 percent, over the previous S1 Isolation Base design. The S3 replaces the S1 with higher performance while the price remains the same, furthermore increasing the performance value to the customer. The new S3 Isolation Base product line plinth construction is manufactured by laminating in a vacuum press alternating layers of high density fabric reinforced resin and non magnetic stainless steel plates on both sides of a decoupled mass energy dissipation core system. The very top skin of the S3 plinth is the same high quality scratch resistant surface layer used in the R3X Isolation Base providing an identical cosmetic match. The S3 also uses the same primary isolation stage of the reference level M3X model and thus provides exceptional performance and a great performance value. The broadband noise reduction system in the S3 is optimized to the weight of your component. The weight range can also be easily modified in the future to keep your system operating at peak performance. The low profile 3-inch high compact design also minimizes space requirements and keeps the visual focus of your system on the component. The S3 Isolation Bases can be used on any surface, audio stand, and integrates directly into any of the HRS Audio Stand Frames. The S3 Isolation Base is produced in two standard sizes and is available in a black or silver finish. Each size can be purchased in any of the three different load ranges to optimize component performance. 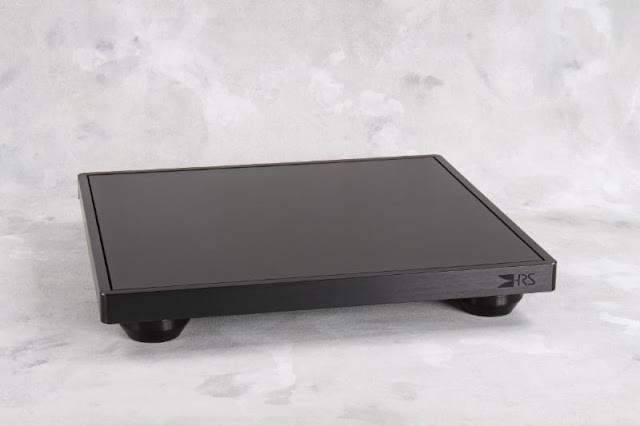 If one of the standard sizes or load ranges does not fit your needs, HRS offers hundreds of custom designs in our M3X Isolation Base product line including custom designs for all large turntables and amplifiers. Please contact your local sales representative or Harmonic Resolution Systems for assistance with custom Isolation Bases for your components.